With Liberty City Stories and Vice City Stories now available on PSN, you'll be happy to hear that Rockstar have uploaded both games' maps. Part of the experience of the Grand Theft Auto series was the games' iconic maps, usually included with the instruction manual inside the box. 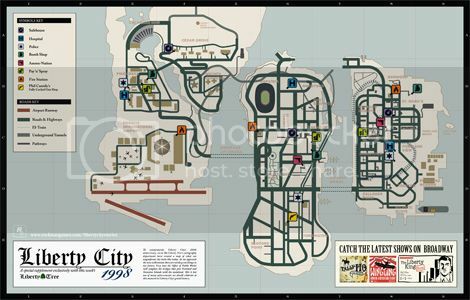 Now that Liberty City Stories and Vice City Stories are available on PSN, Rockstar has kindly uploaded both maps to their website, so you can download them along with the front page of both games' instruction manuals. The team behind Grand Theft Auto alway put a lot of work into making every aspect of their games, down to the bumph you get in the box, feel like part of them game universe, so it's great that Rockstar is ensuring that people who digitally downloading a copy don't miss out on the full GTA experience.